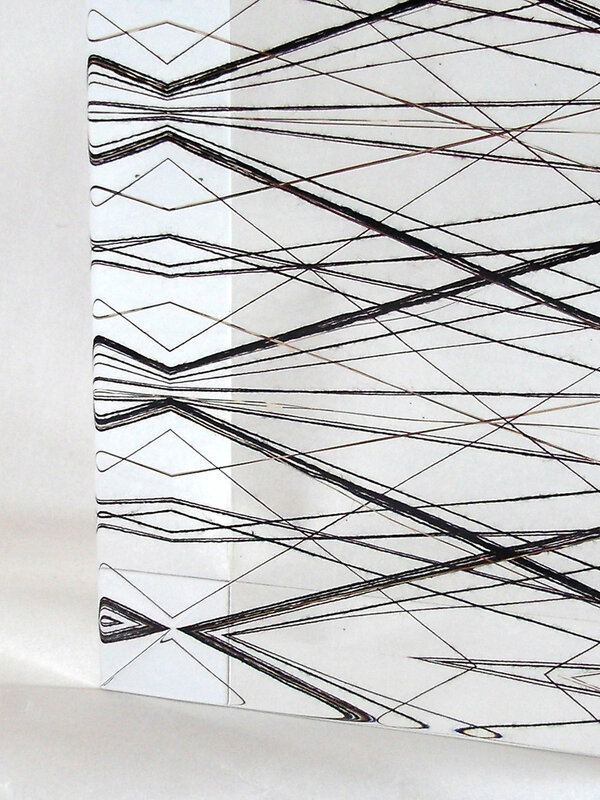 Selected artworks from a highly diverse portfolio by Laura Thomas. Work is made to commission, or a small range can be viewed at Craft in the Bay, Llantarnam Grange Arts Centre, Ruthin Craft Centre, Oriel Mostyn or Brown Grotta Arts. Please contact the galleries to check current artwork availability before making a special journey. 'Fold', cotton, nylon & acrylic resin. 'Full Stop', cotton, nylon monofilament & acrylic resin. 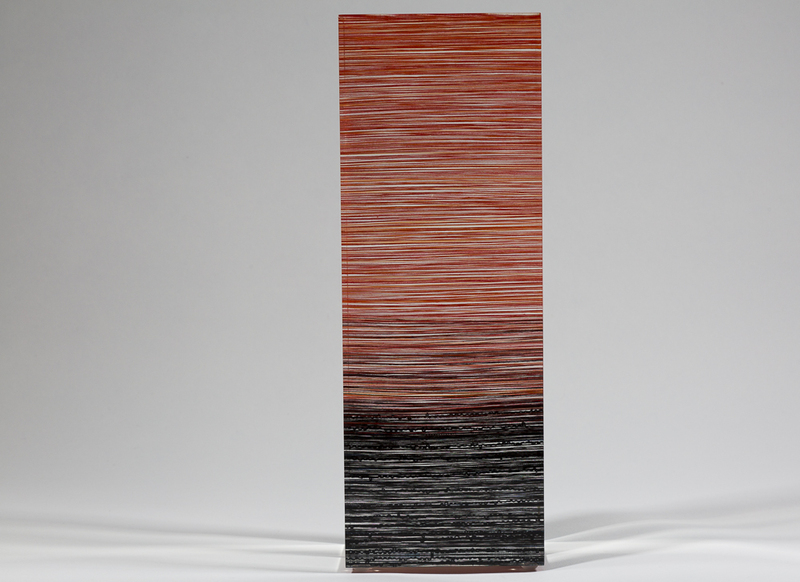 'Arc', cotton, linen & acrylic resin. 'Loose Threads', National Wool Museum collection. 'Black Gold' lurex, cotton, silk & acrylic resin. 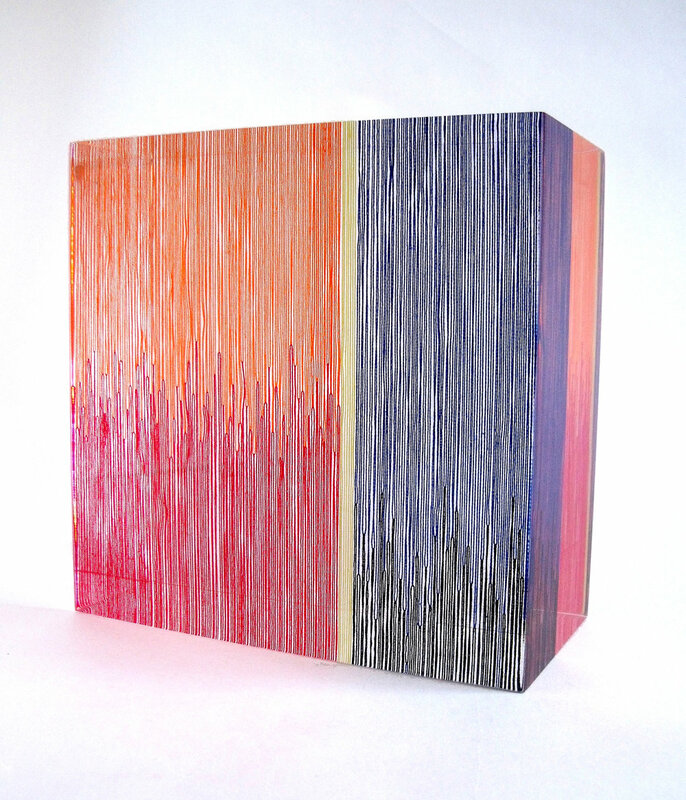 'Spine', cotton and acrylic resin. 'Threads' India - Wales project 2017-18. Cotton and handspun kutch wool. 'Threads' India - Wales project 2017-18. Kala cotton and gold thread. 'Threads' India - Wales project 2017-18. Kala cotton and nylon monofilament. 'Threads' India - Wales project 2017-18. Sample: Kala cotton, copper and nylon monofilament. 'Threads' India - Wales project 2017-18. Handspun Kutch wool and nylon monofilament. 'Threads' India - Wales project 2017-18. Metallic thread and kala cotton. 'Threads' India - Wales project 2017-18. Viscose and nylon monofilament. 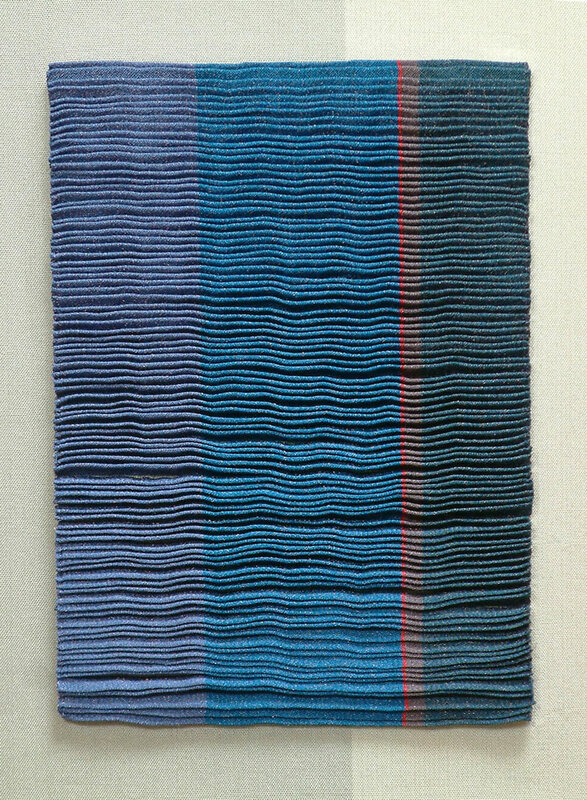 'Zig zag', nylon monofilament, linen, cotton, steel. 'Emerge', polyurethane coated cotton, steel & cotton. 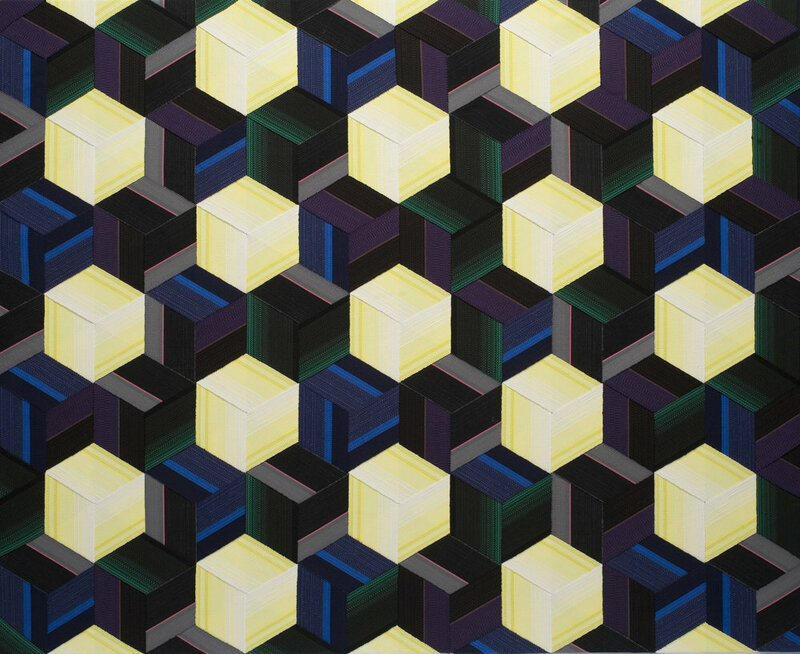 Three x Five, 2010. 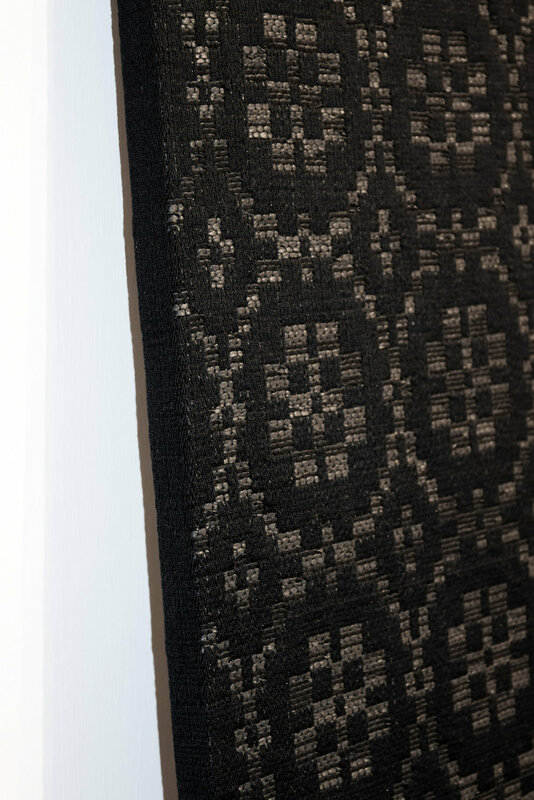 Exhibited in 'Inspired by Albers' exhibition at Ruthin Craft Centre. Triaxially woven cotton and linen. 'Twilight II', double cloth pleats in silk and copper. 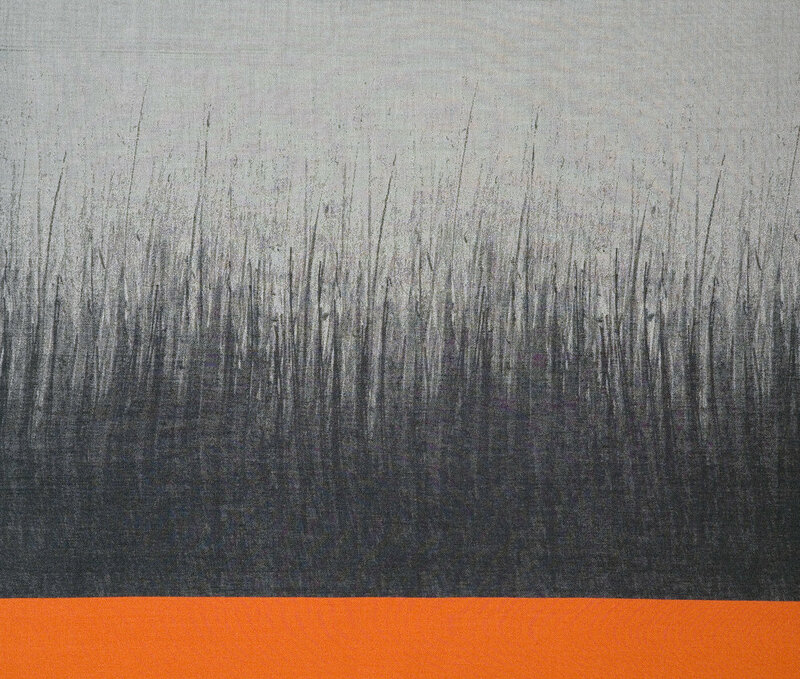 'Meadow Grasses', jacquard woven cotton & silk. 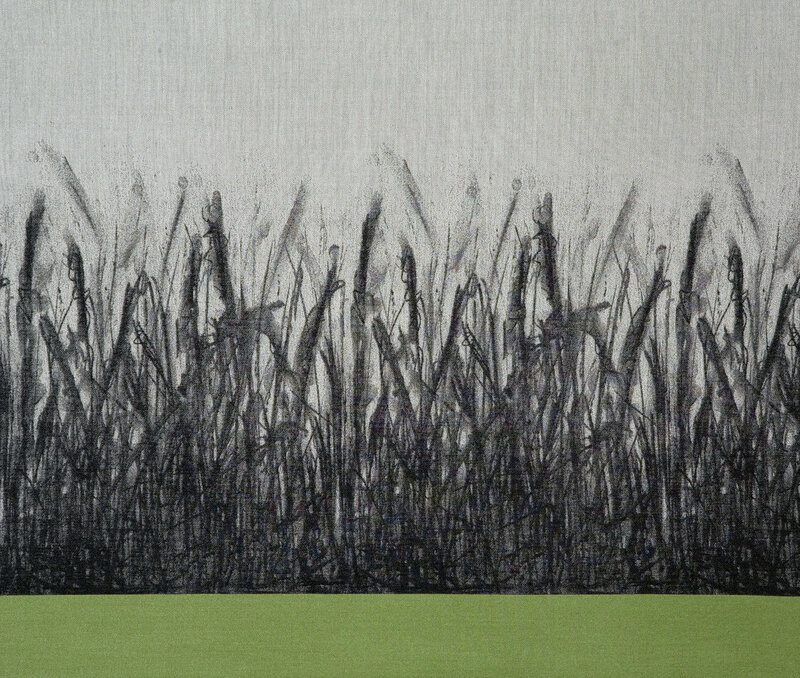 'Grasses' jacquard woven cotton & silk. 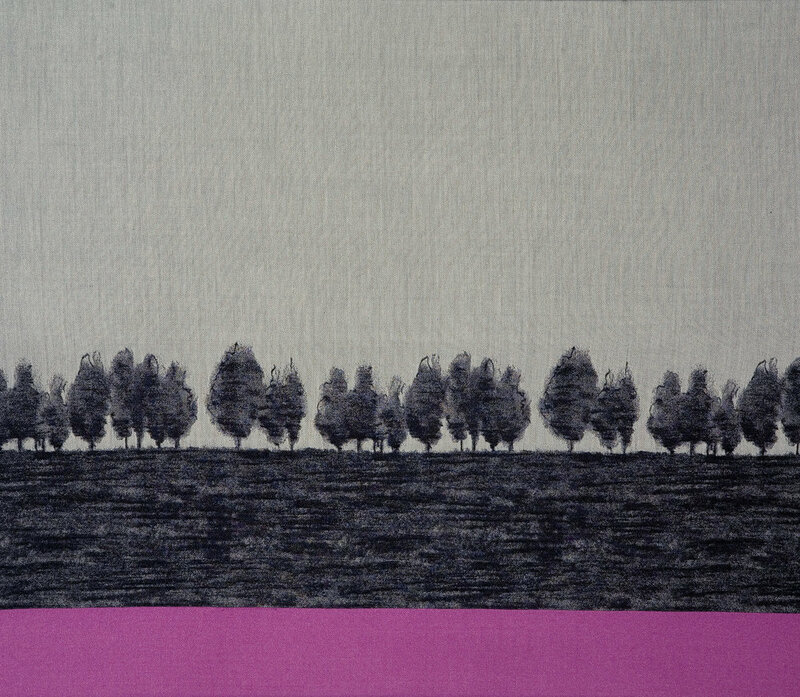 'Treescape', jacquard woven cotton & silk.